In case you are anything like me and wait until the last minute to plan menu’s or just simply can’t decide. I’ve compiled a list of my favorite recipes you can give a try at your barbecue this Labor Day weekend! Want to make a cold salad or two for your barbecue? Try any of these salads. They are my favorite! My mother tells me that my grandmother use to make this potato salad often when she was growing up. This vinegar based salad is most ideal for barbecues outside. No need to worry about food born illnesses with this potato salad. This salad screams summer to me. This is probably one of the best ways to end summer with a bowl of mac & tuna with plain potato chips. The saltiness and crunch of the chips is what really adds to this salad. It’s a classic summer staple in our house and I hope it’s soon to be one in yours! *If your bringing this to a barbecue make sure you put it on ice… mayonnaise and a hot day do not mix! As a kid growing up this was always my favorite salad. Annie, my mom’s neighbor growing up, would always make a large bowl to go along with dinner. The problem was — there was never enough to go around for everyone after I got my serving! *Remember to put this on ice if your serving food out doors. No barbecue is complete with out coleslaw! This version of coleslaw will have all of your guest coming back for more! 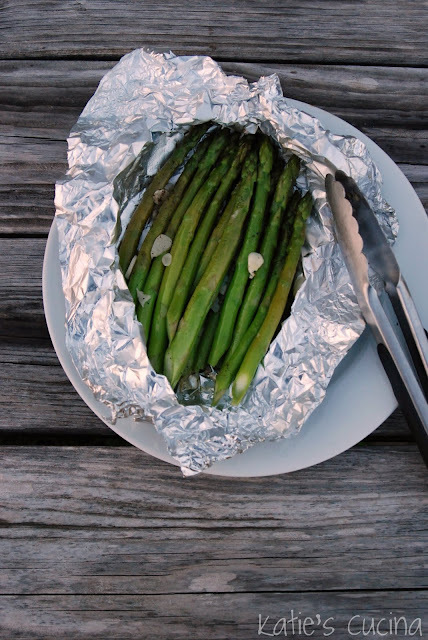 I love cooking vegetables in a tin-foil pouch. You don’t have to just stick to asparagus this Labor Day. You can Mix it up and put slices of zucchini and squash. Super flavorful and easy to make! This veggie side-dish has it all! This is an easy casserole to make a head and put in the oven before your guest arrive for dinner. Get your crock pot out and get ready to sit around and wait for this amazing pork dish to be finished cooking. I love making this the morning of my party that way it cooks during the day while I’m busy preparing for my barbecue. Don’t want to have a traditional shrimp boil? Try these kebabs instead. Make sure you make a double batch because everyone will want more than their eyes can handle! Do you want to do something even less traditional. Why not grill a pizza? This is probably one of my favorite grilled pizza recipes around. Easy to prepare ahead of time, best of all use a prepared pizza dough crust to save even more time. What’s a barbecue without dessert? Make your own marshmallows, place them on sticks, dip them in chocolate and sprinkles! An easier alternative is buying prepackaged marshmallows instead of making your own. For the Oreo lover why not make oreo style cupcakes. The frosting even tastes like the filling of an oreo. You can not go wrong with these lovely gems! Of course what’s a barbecue without ice cream? 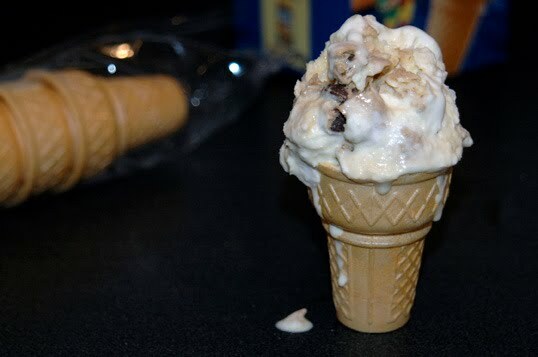 This is by far my favorite ice cream recipe. Heck, if you have enough time you can make a variety of homemade ice creams and have an ice cream bar. I did that last year at my Bull’s Eye BBQ and it was a huge hit! I’d love to know what you are cooking up this holiday weekend. The salads look soooo good. mmmmmm! Wish I was eating them right now. Perhaps with a pulled pork sandwich! Great round up! I love macaroni salad. I feel like has a reputation for being outdated and boring, but I adore it! It's a good thing my husband is BBQing steaks because your site is making me hungry. I just stumbled on your site after visiting Debbie Does Dinner and I'm a new follower. Thanks for the great recipes.